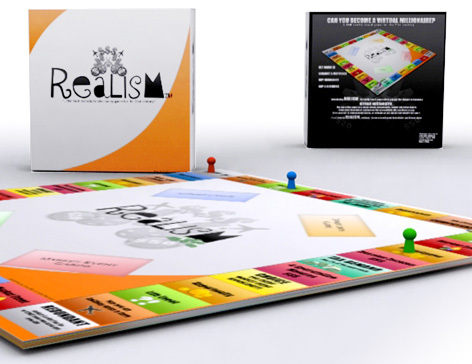 Realism is a family board game which is a fun way to help people understand the financial ins and outs of life. The object of the game is to try to become a virtual millionaire by buying property, shares and other assets. The players have jobs and can take out mortgages and insurance. During play there are personal and market events to cope with. The winner is the player with the most assets when play finishes. This board game - the first of Realism Games Limited's products to reach the marketplace - is a great way to teach children about the fundamentals of investment. It's equally as much fun for adults, who will have their conceptions about what are prudent investments and what are not challenged. Children as young as ten years old can enjoy the thrill of the financial rollercoaster - and because players are not pitted against each other, there's none of those hard feelings that you’ll often find when playing other financial-based board games on a family games night. Whilst news headlines around the world continue to be dominated by the world's financial instability, Realism is perfectly timed, brilliantly pitched and a great investment at around £34.99. 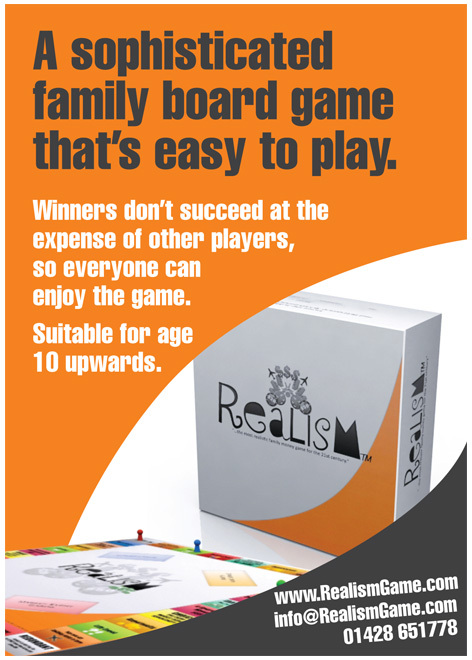 Please tell us what you think of the Realism Board Game.